iPod Nano Product RED. iPod Nanp Product RED, 4 & 8GB, released in October 2006, as part of the (PRODUCT)RED, where US$10 from each sale is donated to The Global Fund to Fight AIDS, Tuberculosis & Malaria.. Wallpaper and background images in the iPod club tagged: ipod mp3 red nano. 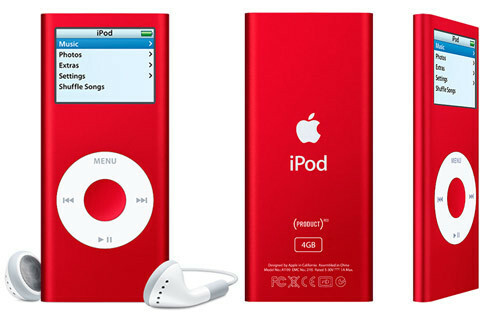 iPod Nanp Product RED, 4 & 8GB, released in October 2006, as part of the (PRODUCT)RED, where US$10 from each sale is donated to The Global Fund to Fight AIDS, Tuberculosis & Malaria. I got the 8gb one and it is awesome! I'm going to take some pictures of it now..